Going home to meet family & friends has never been this easy. Book your seat with your favourite bus operator @RM1! Hurry! 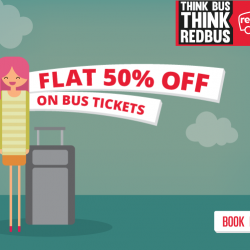 Book your tickets at Redbus now! Valid till 2 July 2016, limited to first 200 seats per day. BargainQueen's Choice RedBus: Hurry! Avail Flat 30% off on bus tickets and celebrate the Chinese New Year Super Easy and Hassle-Free! How do you book your bus tickets when you travel to Malaysia? BQ recommends you the most uncomplicated and hassle-free way: to book online via Redbus! Choose from over 60 bus operators and get an instant confirmation! 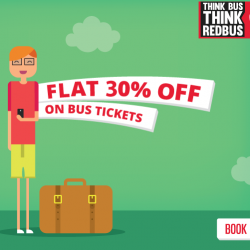 Now here's the best chance to try Redbus with a flat 30% off bus ticket coupon code! For a limited time only, hurry and book now! 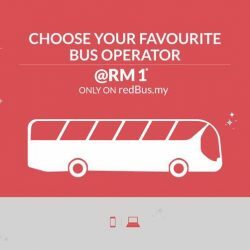 BargainQueen's Choice RedBus: Hurry! Last 2 days left to avail Flat 50% off on bus tickets and celebrate the Chinese New Year Super Easy and Hassle-Free! How do you book your bus tickets when you travel to Malaysia? BQ recommends you the most uncomplicated and hassle-free way: to book online via Redbus! Choose from over 60 bus operators and get an instant confirmation! 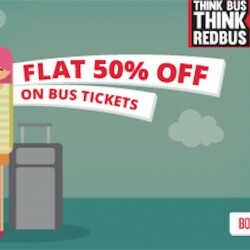 Now here's the best chance to try Redbus with a flat 50% off bus ticket coupon code! For a limited time only, hurry and book now! Recommended by BargainQueen Book your bus ticket to Malaysia online @ RedBus & get 50% OFF your bus tickets NOW! Super Easy and Hassle-Free!